What is a grub worm? How does it affect your lawn? Grubs are the larval stage of various insects and frequently reside right beneath the surface in the topsoil. These little guys cause major damage to your turf. Here are three reasons to care about grub worms and their subsequent removal in your lawn. To Keep Your Lawn Alive – If your lawn has a white grub infestation, your yard is at risk of growing so unhealthy that it will die. At first, you’ll notice brown patches…but it’s just a symptom of a greater issue (a complete lack of root system). In fact, your turf could currently be host to hundreds of grubs right now, which destroy your lawn at the roots, leaving unfortunate (and ugly) brown patches in your grass, before killing it entirely. That’s why, at Emerald Lawns, we apply preventative grub treatment to keep your turf intact. To Protect Your Children and Pets – Because we care about your family and your pets, we choose to use Acelepryn when treating grubs. This special formula is safe to use on the lawn where you and your loved ones enjoy time together. To Save the Pollinators and Earthworms – Many insecticides blanket your yard with harmful chemicals, not only to you, but to the environment. Emerald Lawns desires to preserve honey bees, bumble bees and earthworms for the benefit of your outdoor space, our community and the world. One low-dose treatment per year provides superior grub control to save your yard while protecting the environment and the ones you love. 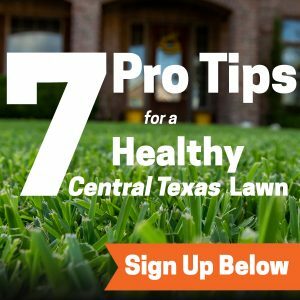 If you have more questions about Emerald Lawns Grub Control, check out this Q & A blog post or contact us online or call us to learn more: 512.990.2199.